It’s hard to imagine a home without a microwave oven. They’re handy for cooking breakfast, lunch, dinner, warming up snacks, heating water for hot drinks, soup, and lots more. They’ve become so commonplace in our homes that we don’t even realize how many times we might use them in a single day. We do notice, however, when they don’t work. That’s when everything changes. One of the most common problems with a microwave is tripping a breaker. When a microwave trips the breaker, preparing meals suddenly becomes a more difficult and drawn-out process. Something that we’re used to taking 5 minutes in the microwave becomes 30 minutes in the oven. This takes a whole new level of planning and makes us want our microwave back. In order to get your microwave back up and running so you can get on with your day, let’s look at why a microwave keeps trip the breaker. 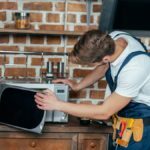 Let’s look at how to troubleshoot the problem and keep your microwave from tripping the breaker. Circuits are rated for 20 amps and microwave ovens draw 12 amps. If you try to run multiple appliances on the circuit at the same time, it can exceed the circuit’s rating and trip the breaker. For safety, your microwave should be on a dedicated circuit. A dedicated circuit serves only one appliance. Nothing else can draw current from that circuit. This protects the circuit, the breaker, appliances, and your home. Repeated tripping can cause the breaker to wear out sooner and can damage the appliances. Overloaded circuits can overheat the wiring, placing your home at risk of electrical fire. Check the circuit breaker to see if the microwave is on a dedicated circuit. Look in the breaker box for a breaker labeled “Microwave”. This means the microwave is on a dedicated circuit. If you don’t have one labeled for the microwave, check to see which breaker is tripping. If it’s labeled “Kitchen” or something similar, then the microwave is not on a dedicated circuit. This means other appliances are drawing current while you’re trying to run the microwave. It is best if the microwave doesn’t share a circuit with other appliances such as toasters, coffee makers, mixers, etc. The current draw of multiple appliances can exceed the 20 amps the breaker is rated for. To keep the breaker from tripping, be sure not to use another appliance at the same time as the microwave. If the microwave is on a dedicated circuit as is tripping the breaker, it could be a faulty circuit breaker, outlet, or microwave oven. If your microwave is plugged into a GFCI breaker outlet and it keeps tripping, the outlet itself may be at fault. Try resetting the GFCI outlet. 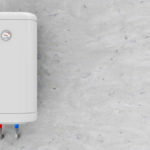 If the GFCI keeps tripping, there could be something else on the circuit causing the problem or you may have a faulty GFCI. Try another outlet to see if the problem goes away. If it does, then the problem is with the GFCI outlet or circuit. You can take further steps to test the GFCI or have an electrician test the circuit. 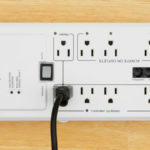 For more information about testing a GFCI outlet, see our article Why Does my GFCI Outlet Keep Tripping? Try a using the microwave on a different circuit with nothing else running on that circuit. 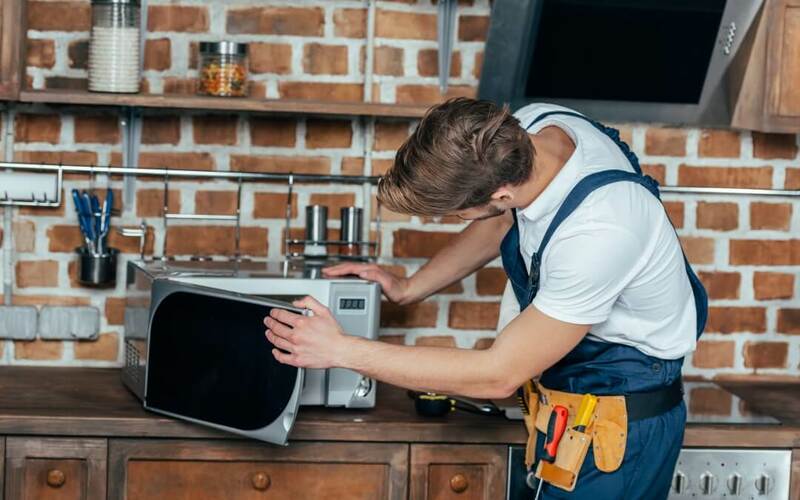 If the microwave works fine on other circuits, and you’ve already ruled out a GFCI, then you might have a faulty circuit breaker which will need to be removed and replaced. Consult an electrician to replace the breaker. If the circuits and breakers are fine and the problem is not with the GFCI, then you probably have a bad microwave oven. There are several ways to test the microwave. Operate the microwave on a higher amp circuit such as an outlet in a garage or workshop, or a known dedicated circuit. Most likely, the microwave oven is faulty if the breaker trips. If it doesn’t trip, then you need a dedicated circuit for the microwave. If the microwave trips the breaker, and it’s on a dedicated circuit or nothing else is plugged into the circuit, and you’ve tested the circuit, then you could have a faulty microwave. The microwave could have faulty switches in the door, a bad magnetron, faulty internal circuitry (such as a diode, capacitor, or transistor), or a blown fuse. Repairing internal faults is dangerous and requires special training and tools. Do not try to repair a microwave oven unless you have this training. Take it to a certified technician or replace the microwave oven. If it’s an older microwave it would be best to replace it to a more efficient unit. If it’s a lower-priced microwave it can actually cost more to repair it than buy a new one. Microwave ovens are convenient but they can be aggravating when they trip breakers. The most common cause for a microwave to trip the breaker is running too many things on the circuit at the same time. It’s best to have a dedicated circuit specifically for the microwave. This will require an electrician. Also, be sure to check the outlets and breakers. If you don’t have a dedicated circuit and you can’t have one installed, then be sure that you don’t run the microwave and any other appliance at the same time. This will help keep the current draw on the circuit to 12 amps. If using the microwave on a dedicated circuit doesn’t solve the problem, and you’ve tested the outlets and breakers, the problem is most likely the microwave itself. The microwave should be repaired or replaced. If it’s an older microwave, then it’s probably best to replace it for a more efficient unit. 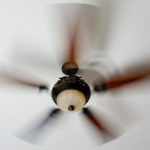 Previous post Are Ceiling Fans Supposed to Wobble? Next post Why Is My Light Switch Hot?